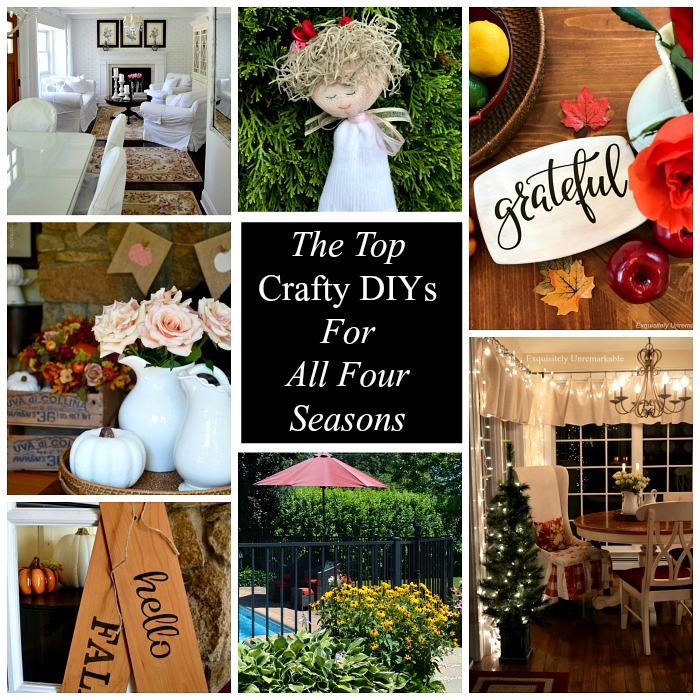 Check out the top crafty DIYs for all four seasons. 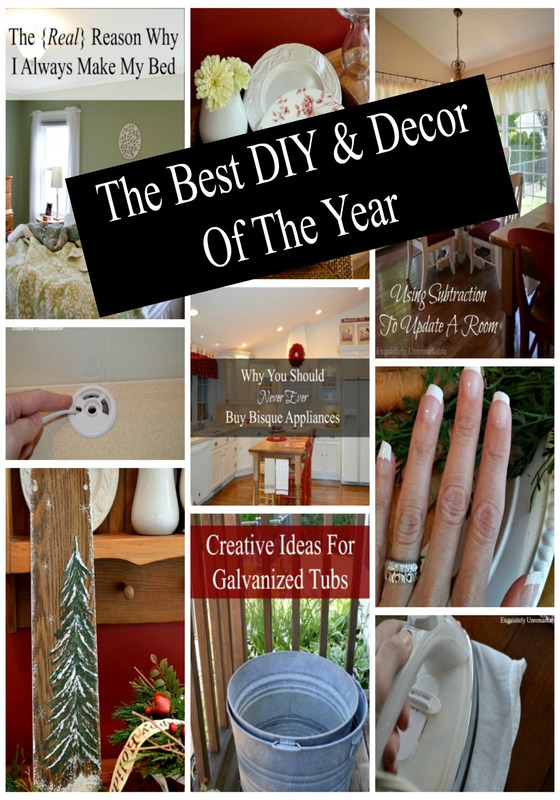 Winter, spring, summer, fall, check out all the fabulous easy ideas, crafts and DIYs to make your home more beautiful! My husband just came in the living room, where I am writing by the fire, and asked me what I wanted to do today. I was perplexed. It's mid afternoon and he works until well after five. He then reminded me that today was a half day since New Year's Day is Monday. How did this happen?? I honestly cannot believe that this year is already coming to a close. Yes, the Christmas tree is a stark reminder, but didn't I just write one of these "best of" posts? I know that it's a major cliche, but the years keep going faster and faster. Oh well, just like my nemesis Mother Nature, I have learned that I can't fight Father Time, so without further ado, I will share with you the most popular posts of 2017 here at Exquisitely Unremarkable. I enjoy looking back, recalling what I created and wrote about. Of course, this is just a snapshot. I actually composed over 80 pieces this year, but today, I'm only sharing the top ten. Among them, you'll find DIYs, crafts, a thoughtful piece on home and heaven help me, a video. Not my favorite medium...thanks to the aforementioned pair, Mother Nature and Father Time. 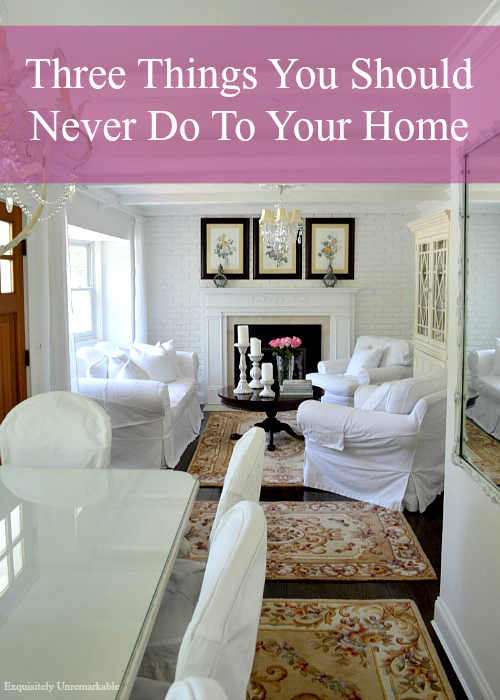 Up first, is my most popular post of the year, Three Things You Should Never Do To Your Home. Lots of opinions here, it was a fun one to share and even more entertaining to read the comments and hear everyone else's list of must nots. Did you weigh in? 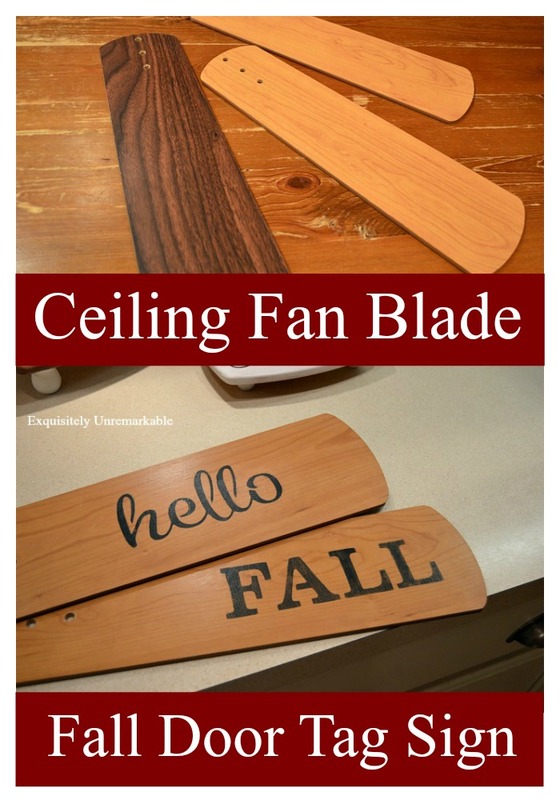 Number two...Ceiling Fan Blade Wooden Door Tag Sign. I have an affinity for transforming these old fan blades and my newest creation was super popular. It was super simple, too, just grab a stencil and go. 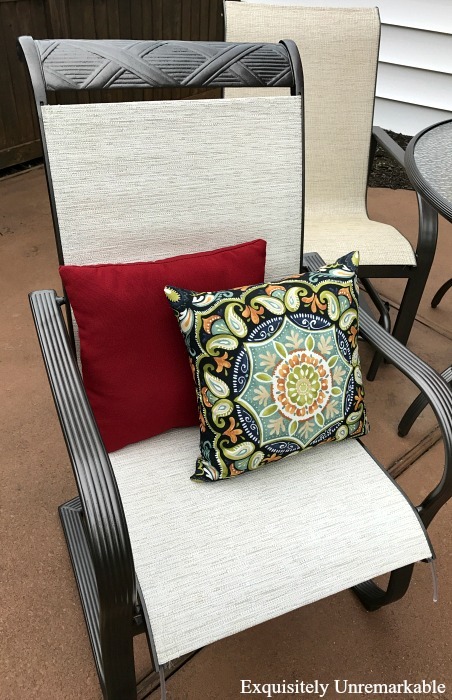 Have you tried one of these easy DIYs yet? 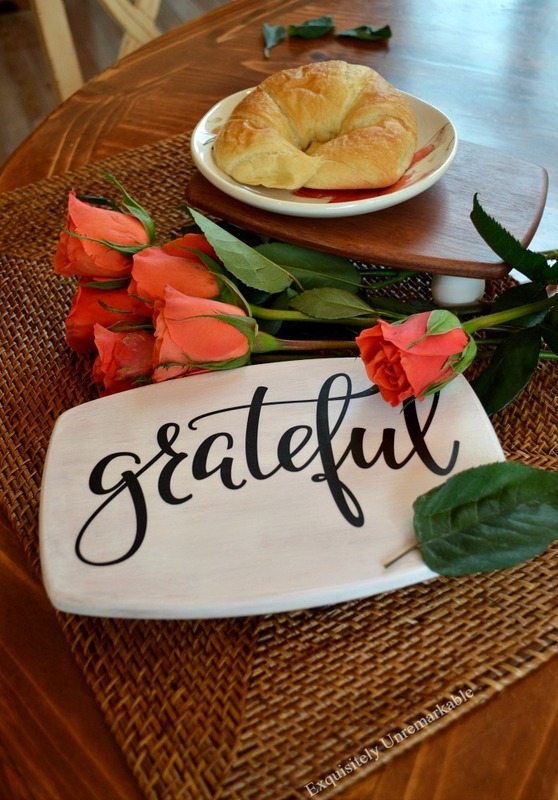 Behind door number three is my Thrift Store Cutting Board Makeover. This one is truly one of my own favorites. It was cheap and easy to do and the results were beyond my expectations. Number four is definitely the cutest project on the list. 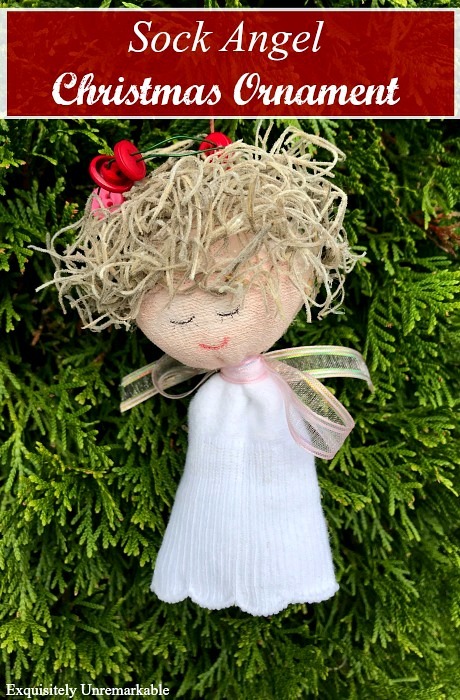 Apparently you thought that about my Sock Angel Ornament, too!! I hate to keep repeating myself, but simple is my mantra and she surely is...just stuff, paint and decorate! My sweet friend Amalia made several with her niece this season. Did you? Halfway through the list, the cuteness stops. 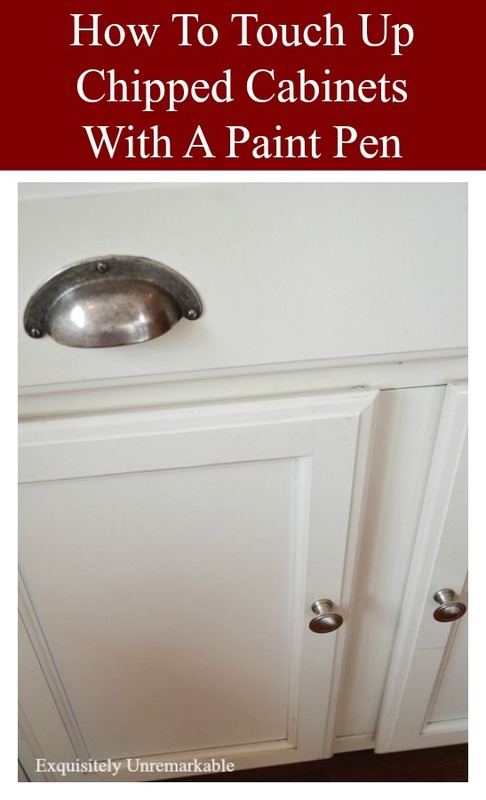 It's all about Touching Up Chipped Cabinets With A Paint Pen. Not fancy or fun, but obviously a very common problem. 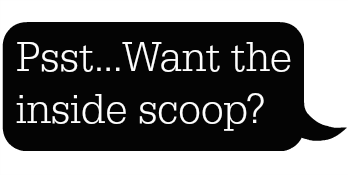 Current blog readers, Pinterest browsers and a ton of Googlers ended up checking out my quick solution. Speaking of, may be time to grab that pen again! 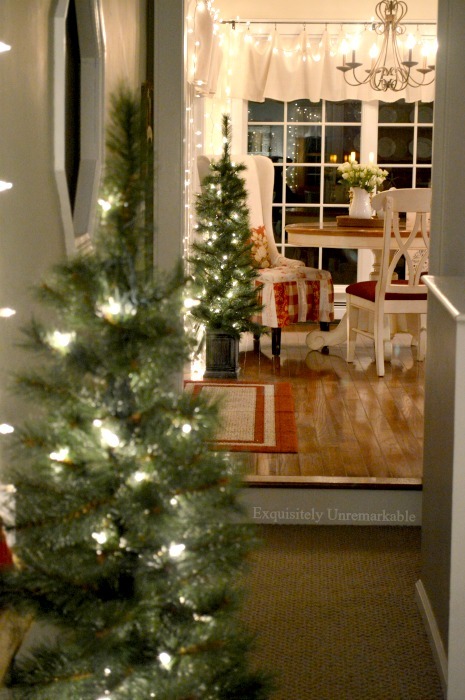 Number six is a recent post, Real Life Christmas Decorating. It's the true story of how I decorated my house and then took most of it down since it didn't feel right. It's a tale that resonated with many of you. Simple seemed to the word of the season. 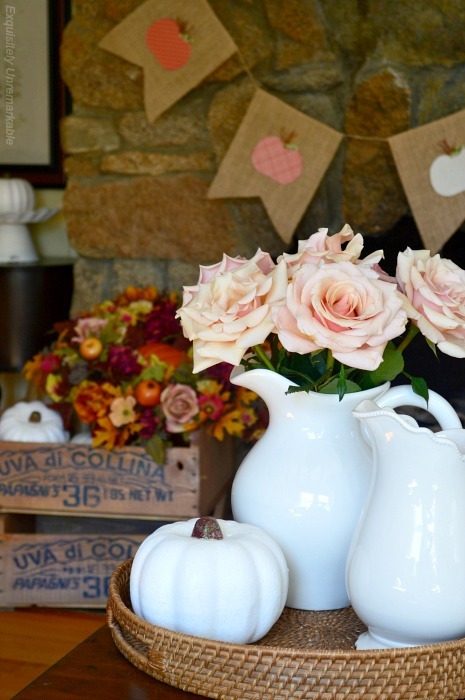 Lucky number seven is all about Cottage Style Fall Decor. Funny, it didn't feel like fall then. With temps in the 80s deep into November I had to improvise. I wish I had that problem now. Brrr. 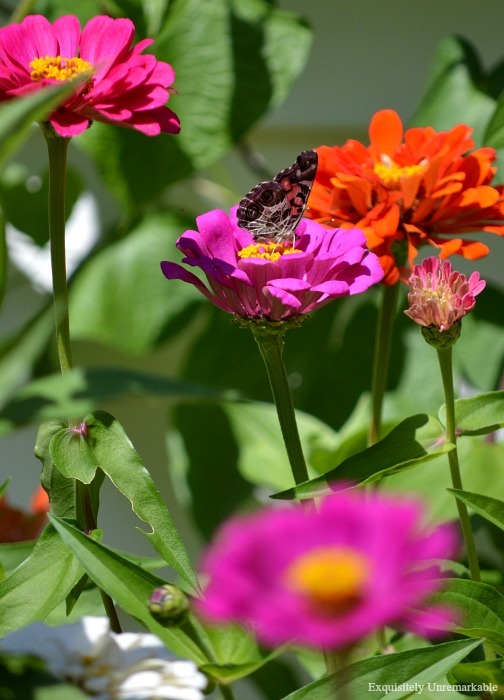 How To Create A Cottage Style Garden ranks at number eight. Oh boy, this post makes me miss summer. The fire I'm sitting by is lovely, but there really is nothing like the pool and all that color! Number nine keeps us in the garden with How To Replace Furniture Slings. Ok, now this one was not an easy DIY. It took a bit strength and elbow grease, but it was well worth it. It saved us big money and looks fabulous. Would you attempt it? 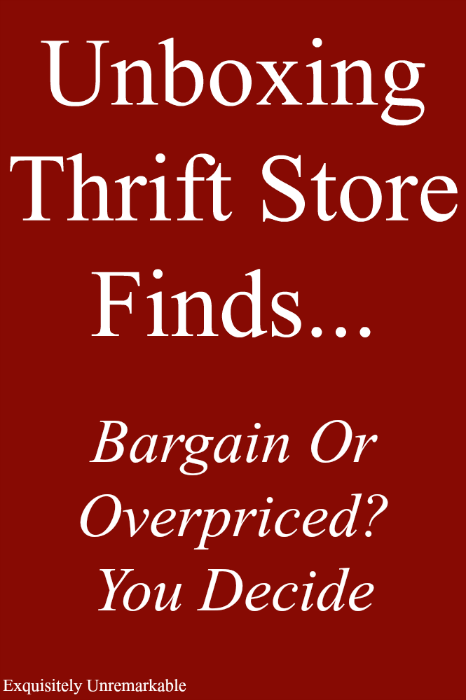 And number ten is...that video...the one where I share all of my Fabulous Thrift Store Finds. As a writer (and a middle aged woman) I am much happier hiding behind my words, but apparently watching me chatter on about my overpriced thrift store was a big hit. Well, there you have it! Something for everyone I hope. If you want to peek back at the whole year to see what else you might have missed you can always check my blog archive in the sidebar. Like I said, more than 80 posts this year. I guess my grandmother was right when she said I that I could talk. But as I say every year since I started blogging, writing, like talking, is no fun at all if you're only talking to yourself. So I thank you again, my sweet friends, for your visits, your comments and your emails. It's the best part of what I do and why writing 80 posts is so effortless. I'm just chatting with friends. I look forward to even more chats in the new year and wish you all a wonderful 2018! I enjoyed each these posts this year, Kim! I just finished my most popular for the year to share Sunday and I always find it interesting to see what is actually most viewed compared to my own personal favorites ;) Happy New Year! Thanks Cecilia! I know...I enjoy that, too. Sometimes what I think is going to be a very popular post isn't. You never can tell. Happy New Year! Love your posts, they are a pleasure to read. Your crafts are simple to do and your explanations are detailed. I made the red hydrangea wreath for my dining room. I too am a fan of red. Looking forward to more from you in 2018. Thanks, Kim! I remember many of these posts, but I'm going back to read the one about real life Christmas decorating. I was in my Christmas fog, so I'm sure I missed it. And I, too, went back and removed more than half of what I spread around my house after being at my SIL's and seeing her minimal, yet festive touch. Guess we both learned a little bit! You had a great 2017 with lots of fun DIY's and good advice. 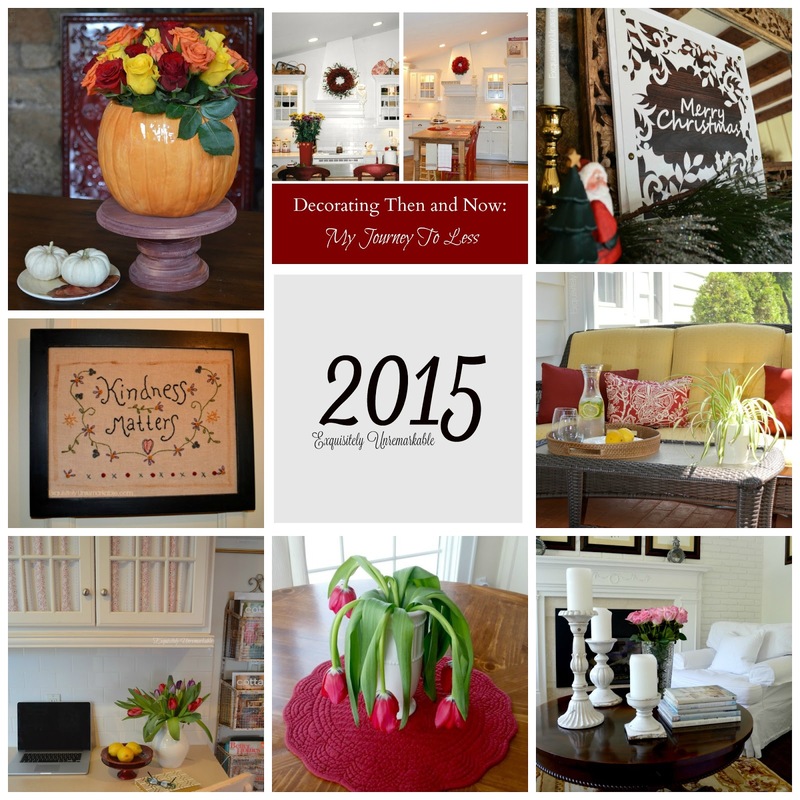 WIshing you more DIY's and fun crafts in the new year. Thanks for sharing your sweet friendship this past year. I have enjoyed it so much. Looking forward to lots of "new" adventures in 2018. Have a great weekend. Kim, you have so much talent as a writer and as a thrifty, smart decorator. Can't wait to see what comes next! Stacey, thank you so much! Your comment just made me smile! Happy New Year, my friend!
" ... I am much happier hiding behind my words, but apparently watching me chatter on about my overpriced thrift store was a big hit." YES! it was a big hit! you should do more! and dearest bean! 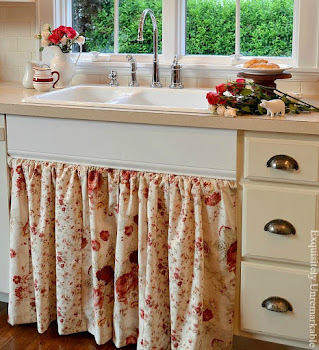 that 'touches of red' kitchen of yours. and the windows around the table... so lovely. hope 2018 is good to you and yours. Happy New Year! Just i=sitting here trying to decide what direction to take my blog in...its not monetized, just a record of what our family is up to. But it's fun to update it, so I'll keep it going! Happy New Year Kim! Great tips and creative craftiness! Thanks so much, Jemma!! Happy New Year! Happy New Year and thanks for all your crafty fun! Wishing a happy New Year Kim!! Thank you for all you shared in 2017. May the new year be a wonderful year for you with many blessings! Thanks Angela!! Happy New Year to you, too!! Blessings for a wonderful 2018 to you and your family. Your blog is such a lovely, lively space, Kim, I always enjoy my visits. And didn't you get a lot done in 2017! Looking forward to seeing with you do in 2018. Happy New Year, my friend. I can say that I remember each and every one of these and enjoyed them at the time. Looking forward to more of your DIY's, wit and great writing style in the new year. You have some very creative ideas. I saved a few to try! Thanks Cherryl! I hope you have fun crafting! Always enjoy my visits to your lovely blog - I look forward to seeing and reading more of your posts during 2018. Thank you, Jan. I always enjoy reading your comments. I do appreciate your visits so much and I'm looking forward to seeing you in the comments in the new year! Happy New Year Kim. I do hope it ends way better than it started ♡ I remember that sweet sock angel of yours, she really is the cutest little thing and your thrifting video. It's always so lovely to put a real voice behind a writer. You do both so well. Thank you, Michelle, I hope so, too. And I'm glad you enjoyed that video. It's an odd state for me, but it was fun to try!